A 4-Port RS-422, RS-485 adapter for serial communication that utilizes four external DIP switches for easy access to the signal used. Automatic transmit and receive control for 2-wire RS-485 half-duplex mode. Use your existing USB port to expand your serial communication. Self-powered, with one switching power adapter 5V 2A included. High-Speed Communication with 128 byte FIFO chip, works through heavy loads. Industrial-grade metal housing for rugged applications. The USB-4COMi-M 4-Port RS-422 / 485 USB to Serial Adapter combines serial communication signals, RS-422 and RS-485 port with USB technology to allow further expansion of existing serial devices. 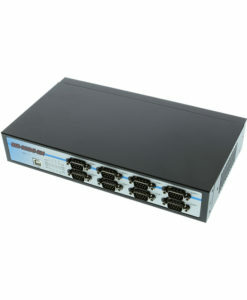 Newer PC’s and Laptops are now being manufactured without serial COM ports, because of this, even new technology PC’s or Laptops can utilize this 4-Port RS-422 / RS-485 adapter. The high speed serial adapter carries with it the 128 byte FIFO chip that allows for high speed communication, even in heavy loaded systems. 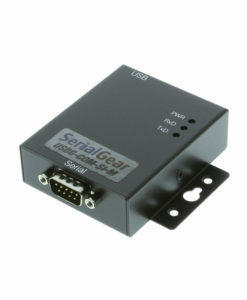 The serial adapter also allows unusual speed settings like 500.000bps. Our unit’s unique features help to reduce the system load. 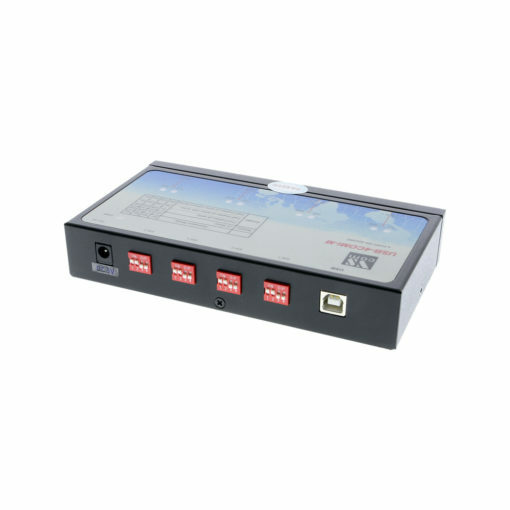 The USB-4COMi-M utilizes four external DIP switches for easy RS-422, RS-485 mode settings. This device is constructed with industrial metal housing and offers a DIN rail bracket and DIP switch mode settings for RS-485 signals. The 4-Port RS-422 / 485 USB to Serial Adapter has certain accessories that work with it. These accessories are what you can order if needed. 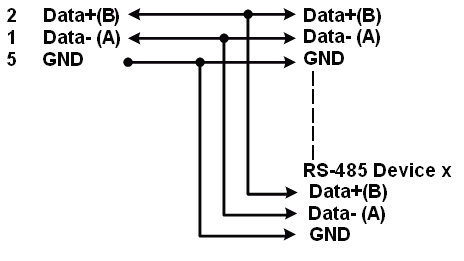 Did you misplace or break a part that came with your 4-Port RS-422 / 485 USB to Serial Adapter? Purchase it here!